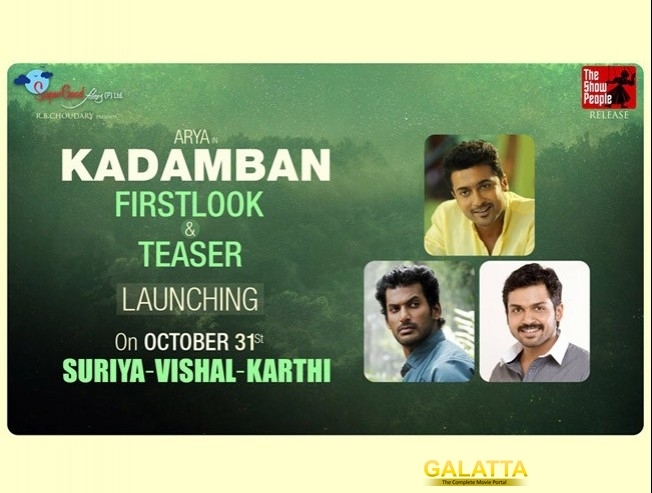 Actor Arya and director Raghava are on cloud nine as the teaser of their ambitious Kadamban will be released by Suriya, Karthi ad Vishal on Oct 31. In this rustic entertainer, Arya plays the role of a tribal man in the film for which he has been doing some serious preparations. Kathakali girl Catherine plays the leading lady. This project is bankrolled by Arya's good friend Jiiva under his Super Good Films banner.